The cult classic Green Russian Big Muff first shook the ground in the mid-1990s. Since then it has been heralded by guitarists and bassists for its devastating low-end and unique sludge and sizzle. The Green Russian Big Muff creates a huge tone that is all its own, but is undeniably Big Muff. The new Triangle Big Muff is a faithful re-creation of the original circa 1969 circuit now housed in a pedalboard friendly, die-cast chassis. The authentic V1 Triangle Big Muff reissued in a nano-sized chassis. Vintage Electro-Harmonix Big Muff Pi Fuzz EH-3003 Made in USA!!! Only $0.01!!! USED AND IS IN GOOD CONDITION! (see pictures). At 9V the pedals behaves like the classic, saggy fuzz box. Classic octave up fuzztone effect pedal. Switchable 9 and 24 volt power rails give a saggy or tight sound. At 9V the pedals behaves like the classic, saggy fuzz box. Classic octave up fuzztone effect pedal. Long revered for its sweet singing tone and violin-like sustain, the classic three-knob Big Muff Pi has helped define the sound of rock guitar for over 40 years. Introducing the Deluxe Big Muff Pi. Electro-Harmonix Deluxe Big Muff Pi Guitar Effects Pedal. 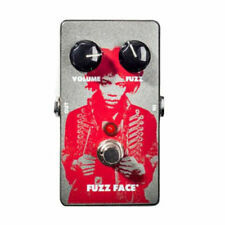 Reissue of the original 1969 Muff Fuzz. Adds just a touch of funky dirt with an edge. Analog overdrive. We're knowledgable, helpful, and prompt. We are anAuthorized Dealer ofElectro-Harmonix! Did you know?. ELECTRO-HARMONIX SOVTEK DELUXE BIG MUFF PI. It’s all here in one integrated pedal. The Sovtek signature sound. Here’s what the Sovtek Deluxe Big Muff Pi provides. Tough and compact die-cast chassis. 9-volt battery included. Already on its way to classic status, the Black Russian Big Muff is favored by many players for its great bass response and nearly infinite sustain. For sale is an Electro Harmonix black box Sovtek Big Muff Pi fuzz effects pedal. This unit works perfectly,and sounds great. Only the pedal itself is included. The pots are scratchy as is common with these, but this is not an issue once you get your settings dialed in. The new Triangle Big Muff is a faithful re-creation of the original circa 1969 circuit now housed in a pedalboard friendly, die-cast chassis. -The authentic V1 Triangle Big Muff reissued in a nano-sized chassis. It’s an iconic landmark located just down the block from EHX headquarters in the 1970s and it’s the building pictured on the pedal. The new Flatiron Fuzz is a classic op-amp powered fuzz/distortion. Great big Muff pi. Made in Russia. In nice condition. Great chance to own one of these! 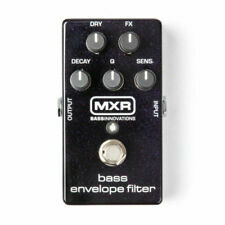 For sale is an Electro Harmonix Bubble Font Sovtek Big Muff Pi fuzz effects pedal. This unit works perfectly,and sounds great. Only the pedal itself is included. The battery door is missing. The pedal is in perfect working order. Used item. Excellent Condition. With factory box and instruction. Tested only with batteries. You will receive what you see on photos. No any cables, no battery. Boosting frequencies in this mode can drive the distortion to a more saturated state. In Dry Mode the EQ affects the clean signal, but not the distorted signal. All analog circuit with MOSFET drive for great tone and variation. I've used Electro Harmonix Ever since, and the only thing I'm. Electro Harmonix changed all that. For 40 years Electro Harmonix have been proud to contribute to many of the most famous recordings in music history. Long revered for its sweet singing tone and violin-like sustain, the classic three-knob Big Muff Pi has helped define the sound of rock guitar for over 40 years. Introducing the Deluxe Big Muff Pi. We are anAuthorized Dealer ofElectro-Harmonix! SOVTEK (ELECTRO-HARMONIX) BIG MUFF PI. The case is superb with only the most minor signs of age or wear. See below for more about who we are & what we do. 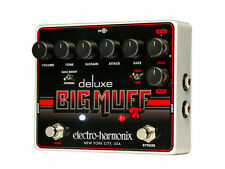 The new Deluxe Bass Big Muff is the latest in the line of EHX bass specific effects. 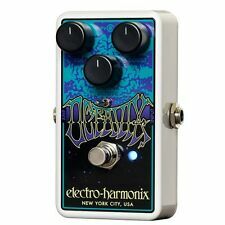 We are anAuthorized Dealer ofElectro-Harmonix Pedals! 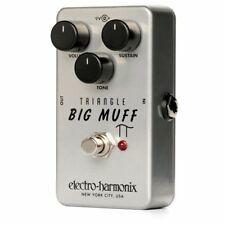 ELECTRO-HARMONIX DELUXE BASS BIG MUFF PI. - Built-in noise gate with an adjust threshold eliminates unwanted noise at any level. Electro-Harmonix Fuzz Octavix & Octave pedal. Il pedale di Electro-Harmonix Fuzz Octavix & ottava. MPN Octavix. -Classic ottava sopra pedale effetto nel fuzztone. La ristampa di Graphic Fuzz è un unico peluria più equalizzatore a 6 bande che è sensibile alla dinamica della vostra partita. Fuzz/distorsione grafico di Fuzz è indipendente l'EQ e può essere acceso o spento, rendendo un effetto dual-purpose! MPN Nano Battalion. Model Nano Battalion. In modalità Input l'EQ viene prima nel percorso del segnale che interessano entrambi i segnali puliti e distorti. In modalità Dry l'EQ colpisce il segnale pulito, ma non il segnale distorto. Inoltre manca la grafica OFF che indica un inizio di Ram's Head. Questo Ram's Head sembra essere un ibrido di qualche tipo. Tutto sul pedale sembra essere originale tranne che per il pedale e la clip della batteria. Pedal Octavador que añade algo de ruido tipo Fuzz. Edición descatalogada. Incluye caja original y DVD con demos de otros efectos de Electro Harmonix. Poco usado. MPN Sovtek Big Muff. Ottenere immagini che. Contatore gratuito di Auctiva. 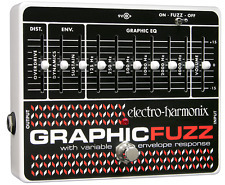 Le caratteristiche di ristampa Graphic Fuzz fuzz e un equalizzatore a 6 bande che è sensibile alla dinamica della vostra partita. Fuzz/distorsione grafico di Fuzz è indipendente l'EQ e può essere acceso o spento, rendendo un effetto dual-purpose! MPN Double Muff. Model Double Muff. DOPPIO MANICOTTO. Pedale Electro-Harmonix Sovtek Big Muff Pi Fuzz Deluxe. Il pedale di Electro-Harmonix Sovtek Deluxe Big Muff Pi Fuzz. È tutto qui in uno integrato pedale. Il suono di firma Sovtek. Ecco cosa Deluxe Big Muff Pi Sovtek fornisce. Electro-Harmonix / Sovtek Big Muff Pi. This Big Muff Pi is in perfect working condition. Tall Font Green Russian. The paint of this Tall Font version is very fragile as you can see.